America announces closure of joint military exercises with South Korea - HailNewsUp.com provides latest news from India and the world. In view of efforts to improve relations with North Korea, South Korea and America are going to close annual joint military exercises to be done at large scale. Seoul: In view of efforts to improve relations with North Korea, South Korea and America are going to close the annual joint military exercise to be done at large scale. This thing has come up immediately after Trump and the North Korean leader Kim Jong Un's summit in Hanoi. Although the negotiations were a result, the two sides have said that they will continue the talks. According to a statement from Pentagon, South Korea's Defense Minister Jeong Kyong Do and his American counterpart Patrick Shannon talked to the phone on Saturday and the two sides decided to end the 'Fol eagle' practice. The Seoul Ministry of Defense also said in a statement on Sunday that the two colleagues will instead make "maneuvering training and joint command practice for strong military preparation". He said that it has been decided to support the ongoing diplomatic efforts of North Korea's nuclear disarmament and reduce military tensions with Pyongyang. 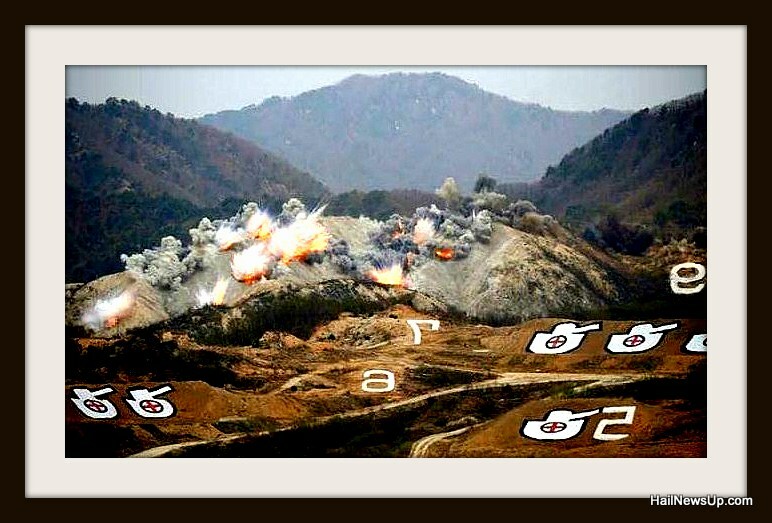 At the same time, Ahen Chan-Il, President of the World Institute of North Korea Studies, said in Seoul, "Suspending or minimizing the practice of America-South Korea can harm both the preparations of the armies, but I do not think it is in South Korea There is a serious security threat to ' Significantly, the 'Fol eagle' practice is the largest combined military exercise between America and South Korea, which is done in spring. From this, North Korea is always annoyed and has been condemning it by describing it as preparatory for infiltration. So far 2,00,000 South Korean soldiers and 3,00,000 American soldiers have participated in this. American President Donald Trump, however, has refused to recall 28,500 American soldiers deployed in South Korea, who have been deployed to protect them from its nuclear neighboring country. North Korea invaded South Korea in 1950.